Whenever we visit a new city we like to begin with a walking tour if possible. 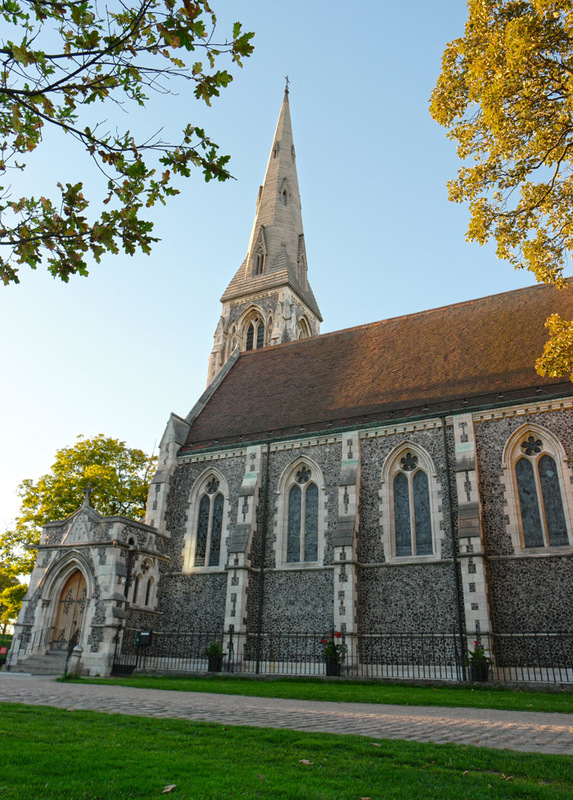 It helps give us the lay of the land, the history of the area and normally the tour guides recommend a few ‘local’ spots that are worth visiting. 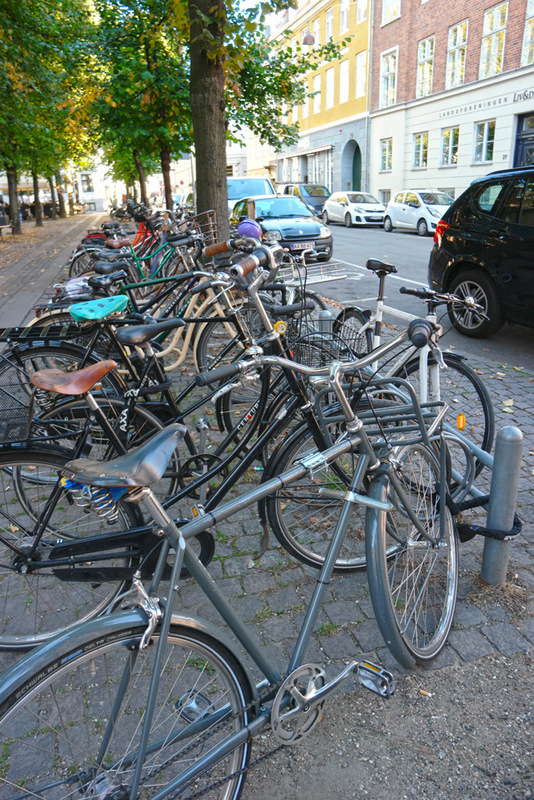 Our walking tour with Ben and Guided Tours Copenhagen was all of these things and more. 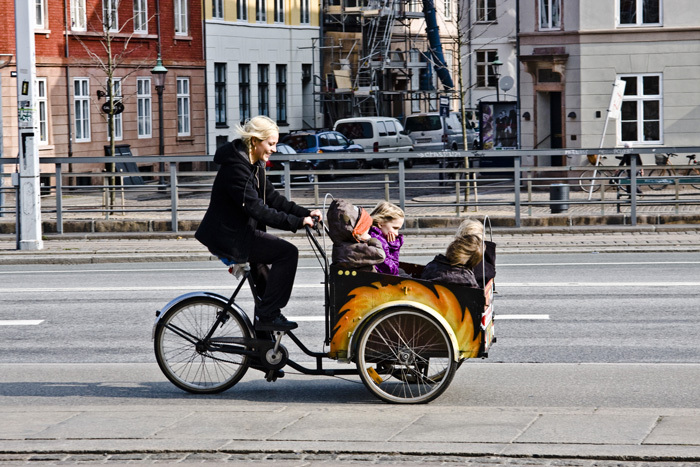 I first read about Guided Tours Copenhagen on Tripadvisor. 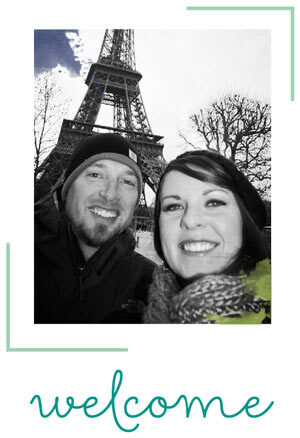 I was very impressed with the reviews and prices listed on their website so I inquired about scheduling a tour. For our group of 4, the total price was 1600DKK ($240) for a private 3-hour tour. This was by far the cheapest option I found as well so we went ahead and booked the tour. The tour started at the Rådhuspladsen (City Hall) which was easily accessbile from our apartment in Østerbro by public bus. Ben was waiting for us in the square and we got started 15 minutes early. 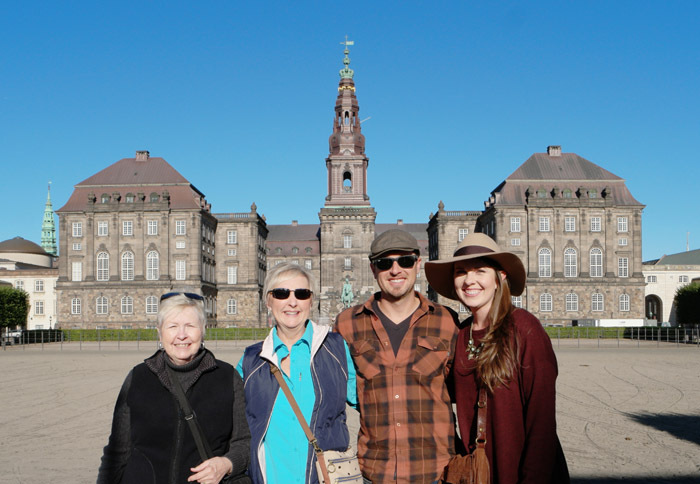 Throughout our 3-hour tour, we were thoroughly impressed with Ben’s knowledge of the city as well as his superb Danish pronunciation (Have you ever heard Danish?)! 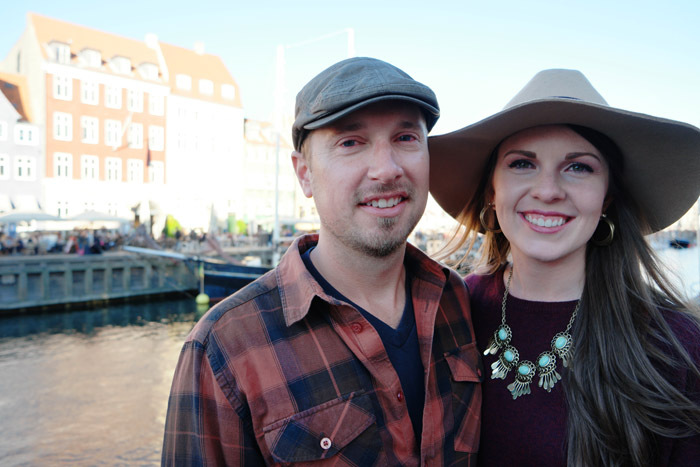 Basically, if you’re going to Copenhagen, go book your tour with him now. Much of the old city has at some pointed burned to the ground. The fire of 1728 had a particularly interesting story where 2 parents blamed their seven-year-old son for knocking over a candle to avoid punishment. Original, ey? What part of the medieval town didn’t burn in this fire burned in the fire of 1795. 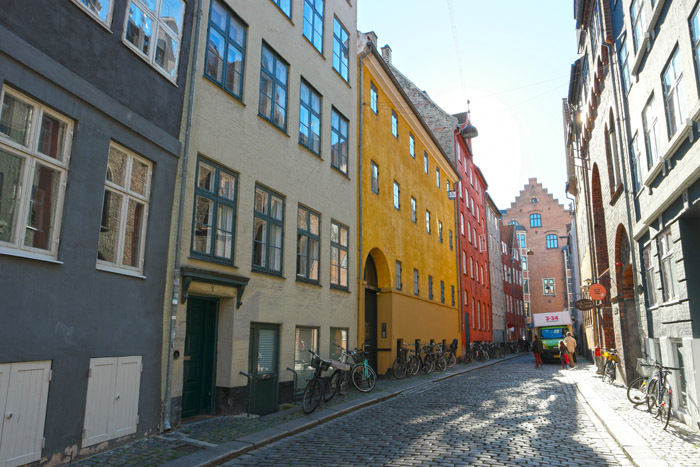 Magstræde (seen below) is the oldest street remaining. It was constructed in the early 1500’s and still contains the original cobblestone. The four intertwined dragon tails of the dragon spire are topped by three crowns, symbolizing the Scandinavian empire (Denmark, Norway, and Sweden). According to legend, the dragon-tailed spire guards the building against enemy attacks and fires, and surprisingly, the Old Stock Exchange has many times been spared from damage, when fires have broken out in neighboring buildings. This palace like much of the city also burned down twice. 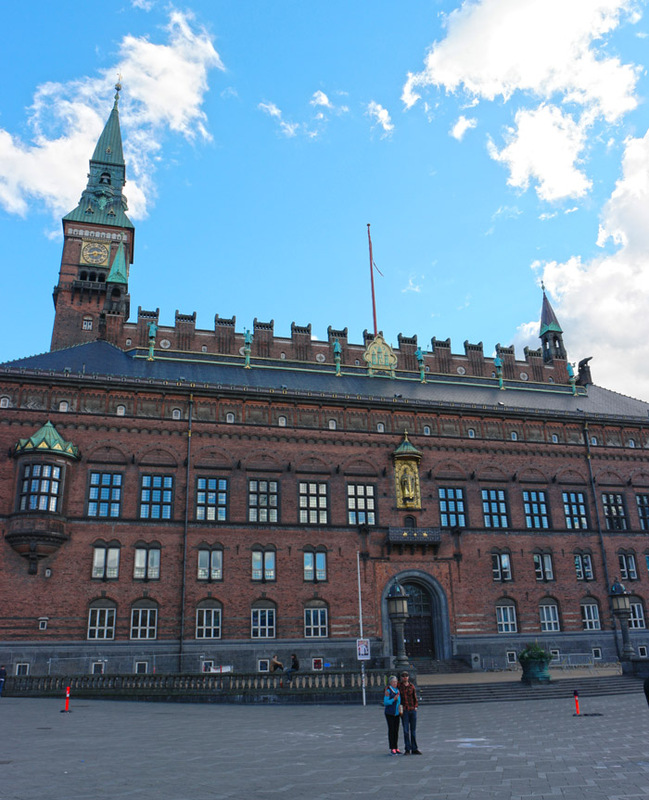 The current ‘Christiansborg Slot’ was completed in 1928. 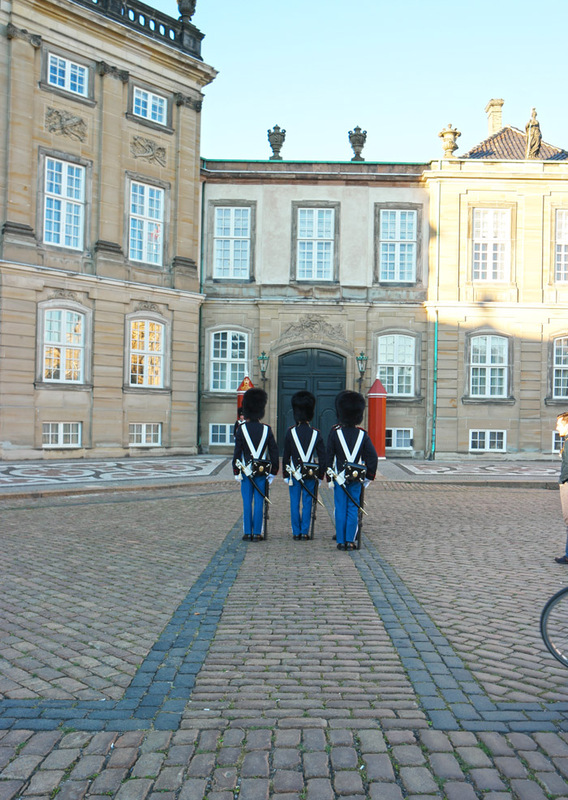 The palace is the house of Denmark’s three supreme powers: the executive power, the legislative power, and the judicial power. It is the only building in the world that houses all three of a country’s branches of government. 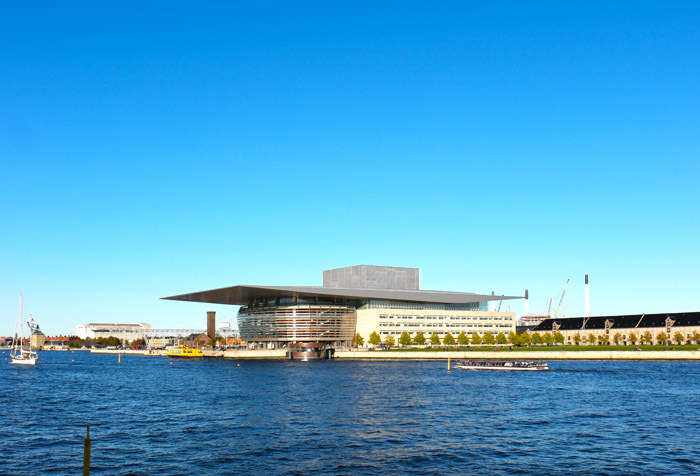 Costing nearly $500 million, this is one of the most expensive opera houses ever built. The building was donated in 2004 by A.P. Møller who is the co-founder of Danish shipping company, Mærsk (think “Captain Phillips”). The cantilevered roof stretches 43 meters over the front plaza (Red Bull hosted a high-dive competition off of the roof this past summer!) and the glass façade is meant to mimic the bridge on a large ship. This palace is the winter home of the royal family. It consists of four identical palaces surrounding an octagonal courtyard. 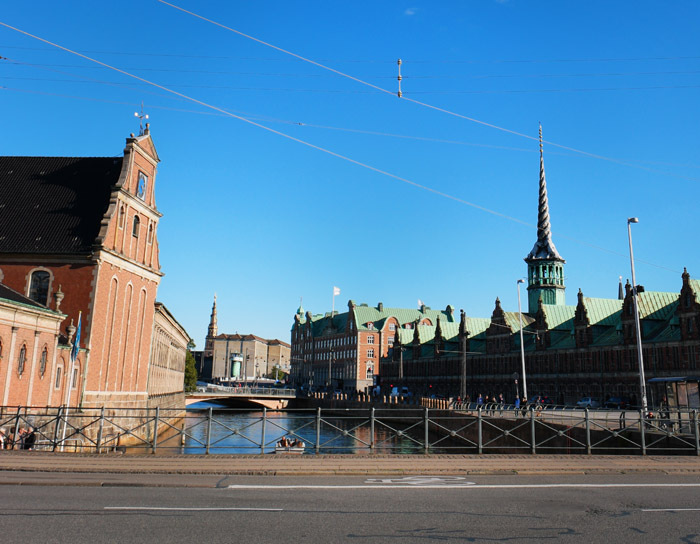 It was originally built for four noble families; however, when Christiansborg Palace burned in 1794, the royal family bought the palaces and moved in. 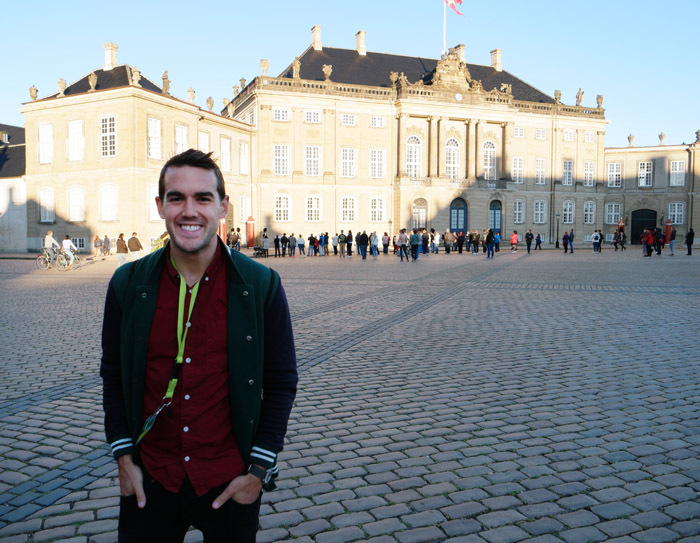 Here is our wonderful tour guide, Ben, standing in front of one of the 4 palaces. 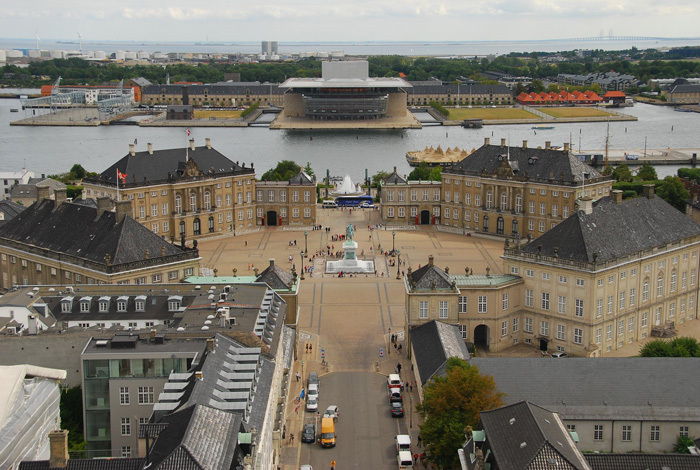 The aerial view (photo from wikipedia) is quite stunning with the alignment of the opera house and Amalienborg. Tivoli Gardens sits right across from the City Hall and to our disappointment, we found it was closed and in the process of changing to the Fall season decor. The park opened in 1843 and is the second-most popular seasonal theme park in the world. Disneyland was opened 4 years after Walt Disney’s visit to Tivoli where he said he gained much of his inspiration. 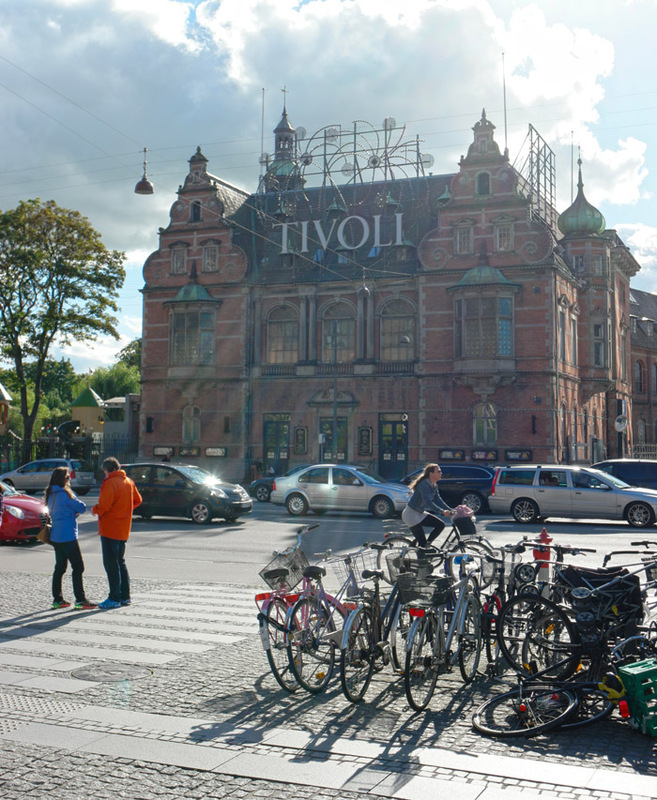 Here are a few more facts about Tivoli Gardens. Growing up, “The Little Mermaid” was by far my favorite Disney movie. My family still jokes about my visit with Santa Clause where I politely requested “a mermaid watch… a mermaid sleeping bag” and anything else that may have had Sebastian and Scuttle plastered on the side. Little did I know, I had a Danish author to thank for my mermaid obsession. Hans Christian Andersen wrote “The Little Mermaid” as well as many other popular fairy tales such as “The Princess and the Pea”, “Thumbelina”, “The Emperor’s New Clothes”, and “The Snow Queen” (ever seen that slightly-popular film “Frozen”?). I just can’t ‘Let it go’. 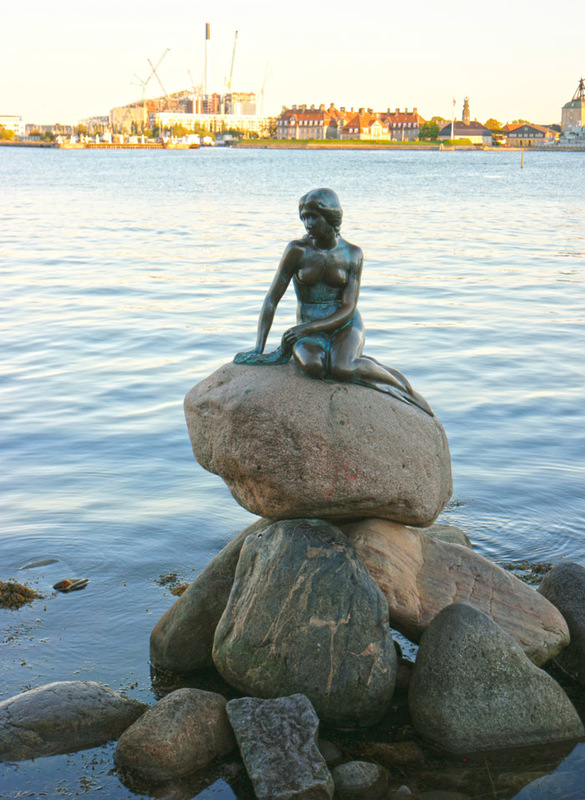 There are several statues of Anderson throughout Copenhagen as well as this statue of “The Little Mermaid”. St. Alban’s church located right beside the Little Mermaid statue was absolutely beautiful. 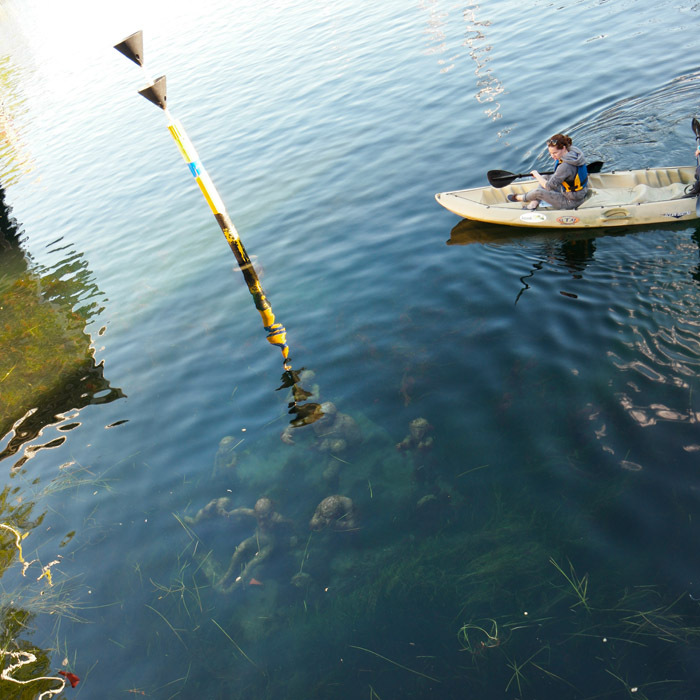 There’s also another less-known mermaid statue in Copenhagen and the story behind it was honestly depressing! A Merman woos a human woman and convinces her to leave her children behind and come and live with him in the sea. She has several merchildren. But one day she hears the ringing of church bells and with the merman’s permission returns to land to visit the church just for the day… except she never returns. She decides to stay with her previous family leaving the merman and her merchildren abandoned just under the water’s surface below. 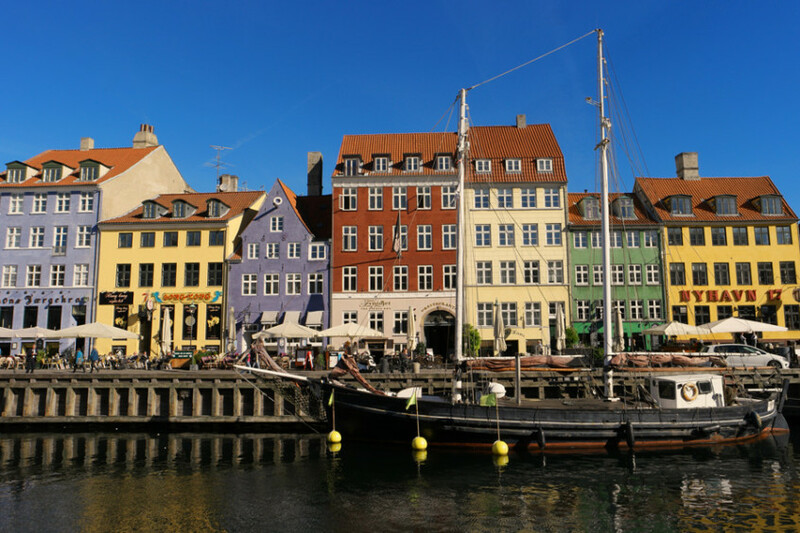 Check out our advice on Where to eat in Copenhagen too! Wonderful photographs of a beautiful city! Thanks for walking with us here in Copenhagen!